Here he is, the ultra rare Nall plushie! This item is considered one of the more sought-after LUNAR items around. Produced only in limited quantities, this thing cannot be found anymore unless one pops up on Ebay occassionally. 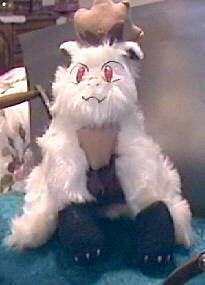 The Nall plushie was originally sold by ESP. 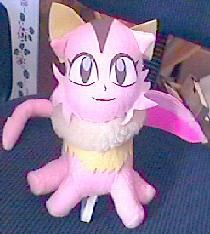 As a new addition, below the official Nall plushie, there are two fan-made plushies I thought would be cool to put up. One of Ruby and the other of Nall. Thanks to DragonmasterDan for supplying the pictures.